Before the general celebrations of Handcross Primary School’s centenary got under way at the school, the pupils and teachers, all dressed in 1870s clothes, walked in crocodile fashion to All Saints Church for a thanksgiving service. 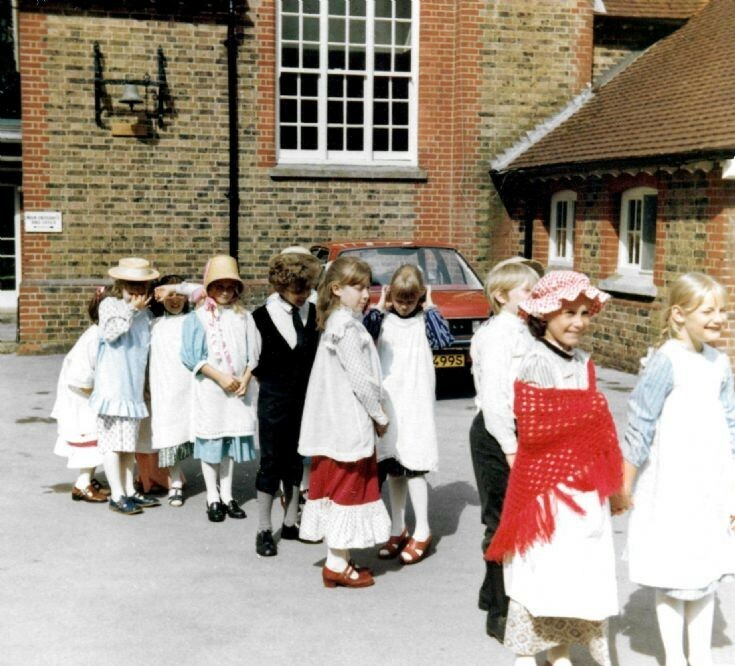 The photograph shows some of the older pupils lining up to leave the school playground to make their way to the church. In the background is the old school bell, newly framed, with its wooden plaque beneath. There are serious concerns that the bell may have been disposed of recently and comments have been made to picture #771. Please feel free to add your own comments.